Mangyo Kinoshita’s practice focuses primarily on cross-border and domestic M&A, joint ventures, strategic alliances, private equity and venture capital. He also handles licensing, entertainment transactions, and various corporate matters. Mangyo’s clients range from Japanese listed companies, global multinationals (including many Fortune Global 500 companies), private equity funds, hedge funds and venture capital funds, to tech and startup companies. He also regularly represents fashion/lifestyle brands and apparel distributors. Mangyo started his career in 2001 at Paul Hastings (then Taiyo Law Office in association with Paul, Hasting, Janofsky & Walker). After graduating from Duke University School of Law with an LLM in 2005, Mangyo joined O’Melveny & Myers’ New York office. He became a partner of O’Melveny in 2012 and led its corporate practice team in Tokyo. 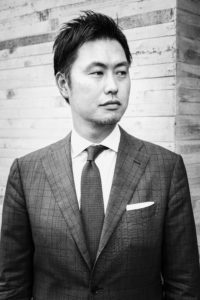 Immediately before founding southgate, Mangyo practiced at White & Case Tokyo where he worked on transactions and projects in over 60 jurisdictions. Mangyo has been described as “highly resourceful” (Legal 500 Asia Pacific 2017) and an “excellent solution provider” (Chambers Asia 2015), and his “knowledge of M&A and start-up financing ‘is one of the best in the industry’” (Legal 500 Asia Pacific 2016). Eric Marcks, a co-founder of southgate, advises clients on a wide range of corporate and commercial matters, with a focus on cross-border mergers and acquisitions and venture capital financings. Eric is equally adept at assisting clients in small VC financings and in billion-dollar acquisitions. Eric was recently recommended by The Legal 500 Asia Pacific in its 2017 Corporate and M&A section. Eric began his legal career in 2000 in the San Francisco and Silicon Valley offices of an international firm, representing start-up companies and the VC funds that finance them. 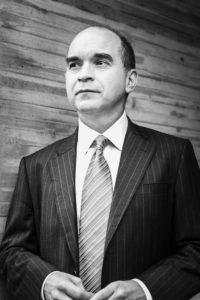 He worked with start-ups in all stages of their growth, from incorporation and commercial transactions to financings and exits. Eric joined the Tokyo office of White & Case in 2007, where he represented Japanese companies in their overseas investments and commercial transactions around the world and global companies in their activities in Japan. 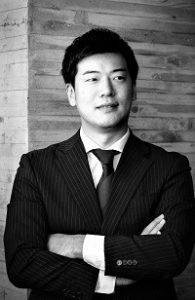 Eric is an adjunct professor at Keio University Law School, where he teaches a course on corporate transactions, and at Temple University Law School in Japan, where he has taught a course on international contract drafting for several years. He has also given lectures at the Faculty of Law and Political Science of the National University of Laos. In addition to his teaching activities, Eric has published and lectured widely on M&A, representations and warranties insurance, and corporate venture capital (CVC). Mindy Allen is a senior U.S. lawyer who focuses on cross-border M&A, joint ventures, and strategic alliances. 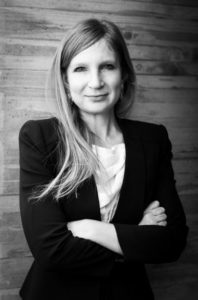 She also has considerable experience in corporate governance, U.S. capital markets and securities regulation, project finance and dispute resolution. Mindy began her career at the New York and Tokyo offices of a leading Wall Street firm. Before joining southgate, she most recently served as a senior counsel in the legal department of a major Japanese trading house, where she supervised a broad range of outbound investments and business ventures in a variety of industries around the world. Kyoko Mogi focuses on domestic and cross-border M&A, joint ventures, strategic alliances, finance (mainly real estate and shipping finance), while also advising on corporate law, intellectual property and securities regulations. Kyoko also has extensive experience in dispute resolution. Before joining southgate, Kyoko worked at domestic corporate and finance firms assisting domestic and international clients in their business ventures inside and outside Japan. Akira Kawashiro focuses on domestic and cross-border M&A, securities, anti-trust and financial regulations. Before joining southgate, Akira worked at a major Japanese law firm and was seconded to the Tokyo Stock Exchange from 2015 to 2016. 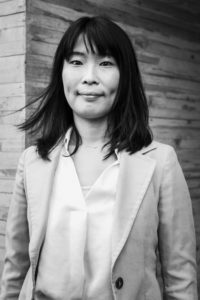 Ayumi Sadahira focuses on domestic and cross-border M&A, securities, labor and employment, and other general corporate matters.